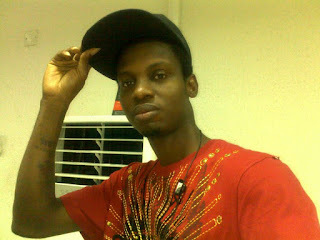 Born Christopher Imeh, DJ XCHRIS hails from Akwa-Ibom state. The phenomenal kid whose passion for the round leather game was discovered at an early age was a sensational dribbler. Dee-jaying for him started in 2001, practicing and self teaching himself to point the of getting noticed by HNIC Dr. Gee (Club Rhythm’s Rap show veteran host on Ray Power 100.5 fm). His dexterity got him noticed by the management of Daar Communication plc and led to his employment with Ray Power 100.5 fm. This came in 2005; DJ XCHRIS finesse set him apart as one of the few Nigerian Deejays who mix to perfection R&B, Hip-hop, soft rock and classic tunes with unnoticeable transition. This led to XCHRIS front lining the old school mix on Ray Power 100.5 fm and subsequently becoming Primetime Africa Entertainment’s official DJ for Kennis Music on all radio and TV programmes which also led to his exposure to the international society. In 2008 the international community recognized DJ XCHRIS when he bagged the prestigious Nigeria Entertainment Awards (NEA) in U.S.A. Nominations come up every time, to him; it’s a normal thingy. DJ XCHRIS remains a top notch club DJ, party slammer and a frontline DJ who has helped quite a number of artistes to stand on their feet today. He is currently managed by Rhymesville Entertainment. He continues to spin records, because he loves to do so, it’s more than an occupation, it’s a passion. Well, here's a schedule of his playing time on radio so you could always follow the stunts of the DJ.